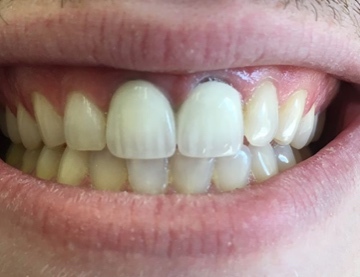 Before: 24-year old male patient had ill-fitting and poor cosmetic porcelain fused to metal crown, which caused gingival inflammation and bleeding. 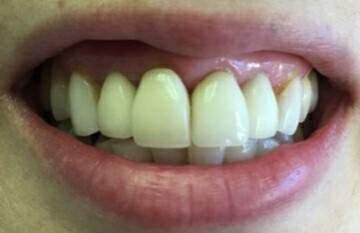 After: We restored with two emax crowns which we bonded to his tooth structure. His two front teeth are now stronger and much more esthetic! 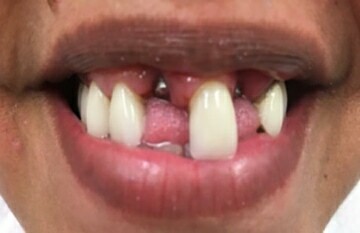 Before: 47-year old female patient was unhappy with her old dental work and smile. 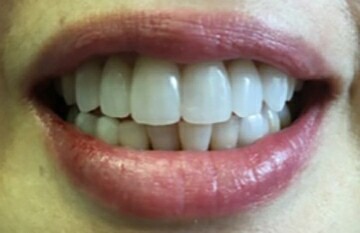 After: We gave her a new brighter smile by using a combination of porcelain veneers and emax crowns. She was really pleased with how it changed her entire face! 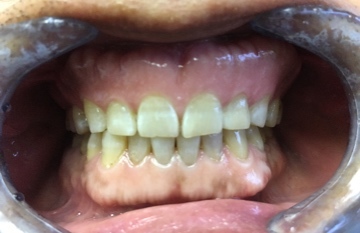 Before: 54-year old female patient lost two of her front teeth to periodontal disease. 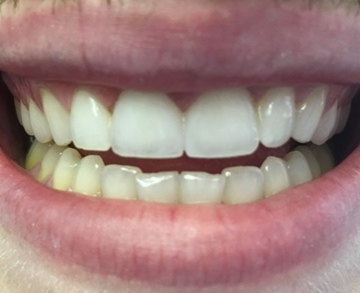 After: We restored by placing two single dental implants and was able to get great esthetics using pink porcelain to replace missing soft gingiva. Now she smiles confidently! 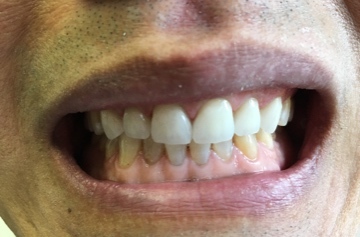 Before: 54-year old male patient was given antibiotics as a child which discolored his adult teeth. 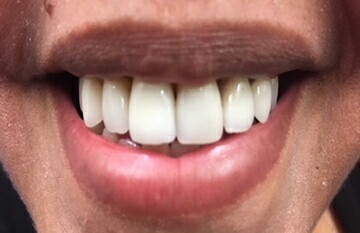 After: We restored his teeth using feldspathic porcelain veneers to not only whiten his gray teeth but also restore worn length.